If you own a building or a business in Northern Virginia, your space becomes vulnerable to the snowy, wet weather winter in the region often brings. We’ve seen the lighter snow already, and it’s only a matter of time before a more serious storm arrives. Getting prepared now can help ensure your building gets up and running with minimal down time—and finding the right commercial snow removal company is a critical part of that. You’re getting the best value at the best cost. Keep in mind that the cheapest company isn’t always the most reliable or the most thorough and the most expensive isn’t necessarily giving you more for your buck. Compare several commercial snow removal companies in your area to get an idea of the average price. The company you choose is experienced. The safety of anyone who uses your parking lots—including customers and employees—relies on the quality of the snow removal job that’s performed. A company that’s been in business for a while is more likely to be your most reliable bet when it comes to properly removing all the snow in your parking lots. They have reviews and referrals. An experienced commercial snow removal company should have testimonials from its previous work to share with you. To read about their other services. A landscaping company might have a better, more careful approach in regards to removing the snow without damaging your property. If you own or manage a commercial building in North Arlington, McLean, Vienna, Great Falls, or the City of Falls Church, O’Grady’s Landscape can help you get through winter with our commercial snow removal service. 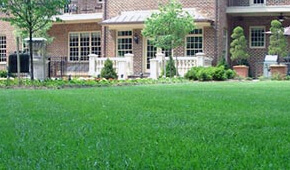 We have been in business since 1991 and are experts in all things landscaping, including commercial snow removal. We provide building owners throughout the region efficient and thorough snow removal so they won’t lose time and money after every winter storm. Contact us to find out if we service your area.